Gibson is not just a great American guitar company; it is also a hard to place to work, run by a CEO notorious for micromanagement and general bad temper. Would you like a day off for the holidays? "NO." 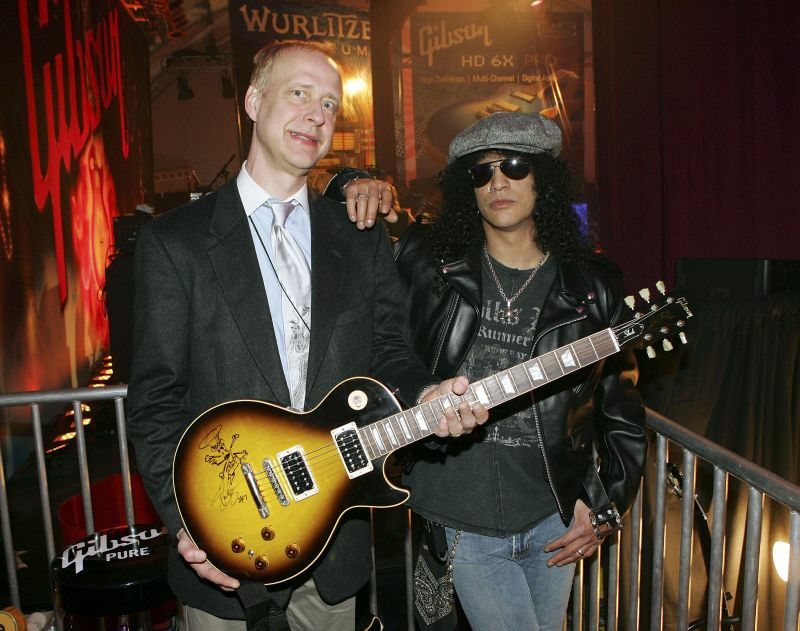 Gibson's CEO is Henry Juszkiewicz (pictured, with Slash), who became something of a right-wing darling a few years back after he managed to insinuate that a federal raid on his company for illegally importing Indian hardwood was motivated by his own political beliefs, rather than, you know, his company's importation of Indian Hardwood. Over the years, rumors of Juszkiewicz's unpleasantness as a boss have occasionally come our way. The website Glassdoor, where workers can anonymously write reviews of their employers, is full of Gibson employees railing about the company's "poor ownership," micromanagement from the top, and gripes about senior management, and the CEO in particular. "They actually get a thrill from firing people, they actually want you to fail, I have never seen anything like it," goes one representative example. 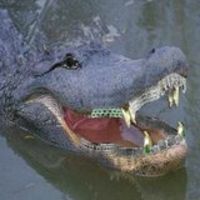 Says another: "all of this stems from the CEO and his manic psychotic neurotic management style (he has to sign off on EVERYTHING: new hires, transfers within the company, promotions, raises, budgets, any funding for new parts or machines." Today, we were forwarded this email sent by Henry Juszkiewicz late last month, replying to an employee who had requested a day off around Thanksgiving. We're told that something like 20 people were CC'd on this email chain. Does Gibson really have a "manic psychotic" CEO? You decide. I do not allow leaders to be absent the days before and after a holiday. I had asked Tom to make it clear, but apparently people have not understood or the communication was not clear. You cannot take long weekends or long holidays unless there are special circumstances. You are leaders and these are work days. During work our leaders need to be there doing their jobs. Taking time off when other people cannot do so or causing insufficient staff during working periods shows a lack of responsibility and consideration for all that depend on our business to be there for them. Henceforth vacations must be taken for a minimum of one week and must be scheduled well in advance. I will expect a vacation calendar from my direct reports for an entire year. I will turn down all requests for long weekends and for periods of less than 5 contiguous days without special circumstances. I also do not believe it is appropriate for a request of this kind is to be shared with others. This suggests where you are coming from [employee name]. I also do not appreciate being lied to about being ill so you can game the system to get what you want [employee name]. As soon as I return from my travels, I will schedule a private conversation about this. I have counted on the personal integrity of people working with me and have refrained from putting in place a rigorous oversight system. I have asked our HR department to oversee this activity on a spot basis which they have not followed through on. The result is I am seeing a continued decline in decorum, a deterioration in discipline in terms of appropriate attire, coming and going on time and other issues that do not belong in a professional situation with executives that are supposed to be examples of appropriate behavior. It is not alright to leave early Friday afternoon or arrive late on Monday morning. It is not alright to take extended lunches. The list of unprofessional behavior goes on. We will be implementing HR policies that were developed at Philips and we have appointed [person] as our global head of Human Resources. These new policies will be promulgated throughout our group of companies and these will be enforced strongly. I will take the time to review these new policies with the people that report to me directly. I will schedule a private meeting with you [employee name]. CEO – Gibson Brands, Inc.